Guangzhou Zenyin Plastic Co., Ltd.
or it is 20-30 days if the goods are not in stock, it is according to your order quantity and requirements. Q7:How about you ensure the quality of my order 9 A: Our factory have advanced testing equipment, before the every product leave the factory,we will test. We can send samples to you,you can test the quality,and if you accept the sample quality we can offer : the follow-up order&rsquo;s quality will be the same as the sample. Mop&Broom Wood Pole Description: 1)Length:1100mm 1200mm,or at buyer's option 2)Diameter. 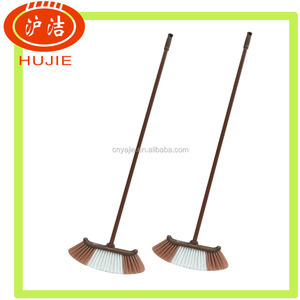 20mm,25mm,or at buyer's option 3)Material:Eucalypt 4)Packing:50pcs/bundle 5)Upon end:cap cover,or at buyer's option 6)Bottom end:screw,or at buyer's option 7)the broomstick is not easy to damage 8)Usage: pole for broom, mop, brush, household cleaning tools etc. Optional styles,or as per your requirement 1)one end is taper, the other end is dome 2)one end is straight cut, the other end is dome 3)one end is taper, the other end is T shaped 4)one end is Italian thread, the other end is dome 5)one end is Italian thread, the other end is straight cut 6)one end is Italian thread, the other end is plastic cap Color: Any color is avaliable Attractive Features: well straight,good polished, smooth, fuminigating and not easy be mouldy inside or bent Humidity : &lt; 18 Quanlity Controled: QA/QC 100% QC checked Packing details Descrition of goods Size(cm) Weight per pc (g) QTY per(pc) QTY 1*20'(PC) QTY1*40HQ(pc) wood pole 110cm*2.2cm 220g 60 55000 110400 110cm*2.5cm 250g 50 50000 100000 120cm*2.2cm 250g 50 45000 100000 120cm*2.5cm 330g 50 45000 90000 130cm*2.5cm 350g 30 50000 80000 150cm*2.5cm 450g 30 30000 55000 Production Process Why choose us9 1.Factory direct wholesale 2.Superior quality with competitive price 3.100% QC checked 4. Professional machine and workshop 5.Delivery date in time 6. 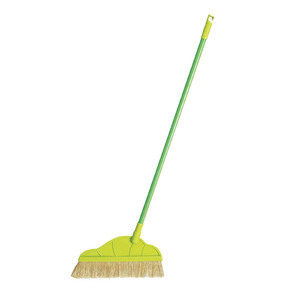 Durable broomhandle 7. Can provide OEM Service If you are interested in our products and need any further information, pls feel free to contact us! 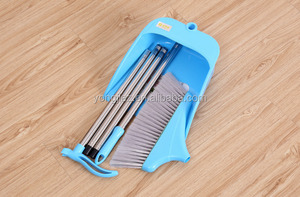 2.Various broom head designs 3.Waterproof and multi-usage. 4. 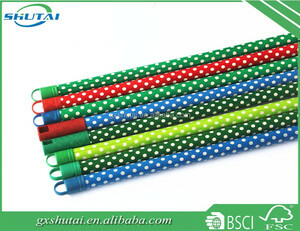 Suitable for storage tools, stationery, cosmtic and more Item No. 3000pcs 16994pcs 42801pcs More Products &gt;&gt;To See More Products, CLICK HERE or ! Taizhou Intouch Import & Export Trading Co., Ltd.
Ningbo Sijie International Trade Co., Ltd.
4. Packing : 50pcs/bundle packed in woven bag or depend on customer's requirement. 6. Sample : our samples are free for you but postage is collect. 7. 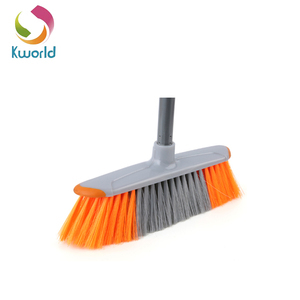 Usage : handle for broom, mop, brush, household cleaning tools. 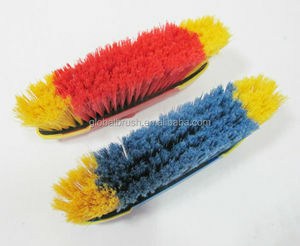 Alibaba.com offers 302 plastic broom pipe products. About 45% of these are brooms & dustpans. 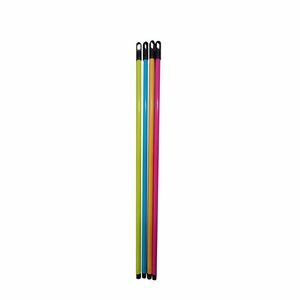 A wide variety of plastic broom pipe options are available to you, such as pet, pp, and pvc. You can also choose from plastic, wood, and iron. As well as from home, road, and floor. And whether plastic broom pipe is free samples. 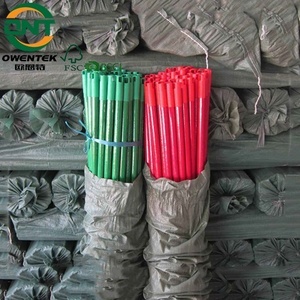 There are 222 plastic broom pipe suppliers, mainly located in Asia. 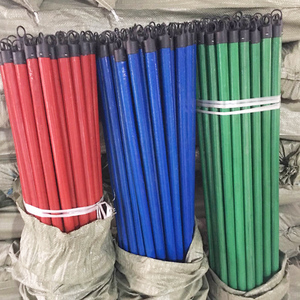 The top supplying countries are China (Mainland), Taiwan, and India, which supply 99%, 1%, and 1% of plastic broom pipe respectively. 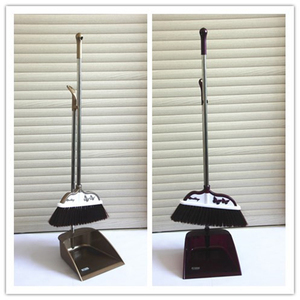 Plastic broom pipe products are most popular in Western Europe, Mid East, and North America. You can ensure product safety by selecting from certified suppliers, including 41 with Other, 38 with ISO9001, and 2 with BSCI certification.